INDUSTRY.co.id - London - Finance Minister Sri Mulyani Indrawati travels to the United Kingdom to meet investors at Bloomberg headquarters in Europe and UK Finance Minister Philip Hammond in a series of UK-Indonesia Economic Forum series events in London. 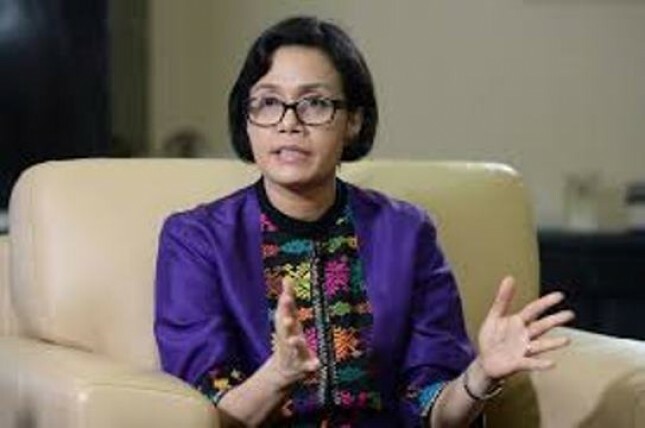 Finance Minister Sri Mulyani Indrawati initiated activities with television interviews in Bloomberg Emerging Market Insights that was broadcast globally and instantly. Interviews with Guy Johnson and Tom Keene, Bloomberg TV host, focused on the impact of the development of "trade war" between US Brush and China on the world economy, Asia, ASEAN and Indonesia. It is also about the turmoil in emerging countries due to the normalization of monetary pricing in the United States and Europe. Minister of Finance believes that this time is the right moment to give a message that Indonesia remains an investment destination with stable and fundamental conditions are strong and unchanged. On this occasion, the Young Indonesian Professionals Association (YIPA) in Great Britain took Bloomberg to conduct the Bloomberg Executive Roundtable event supported by the Ministry of Finance of the Republic of Indonesia and the Indonesian Embassy in London. "The event commemorates the entry of Indonesia Rupiah Bonds since early June 2018 in the Global Aggregate Index, one of the world's most widely used stock market indices," Steven Marcelino, Executive Director of YIPA in the UK, told Antara London on Friday. On this occasion, Finance Minister Sri Mulyani Indrawati gave an update on Indonesia's economic development, government economic policy, tax reform and focus in infrastructure development along with Bank Indonesia Senior Deputy Governor Mirza Adityaswara who gave a presentation on BI monter policy. Duo Menkeu and Senior Deputy Governor of BI succeeded in convincing senior investors of emerging markets with assets of trillions of ASD to increase their investment in Indonesia in the context of dynamic world economic change, namely interest rate increase in the United States, the outflow of capital from emerging countries and the strengthening of currency ASD. Investors give high appreciation for the transparency and commitment of the Indonesian government to sustainable engagement investors. Discussion followed by Suahasil Nazara, Head of Fiscal Policy Office, Luky Alfirman, Director General of PPR, Wempi Saputra Chief of Staff for Finance, Adam M. Tugio, DCM Embassy of the Republic of Indonesia, Hidayat Amir, Head of BKB Budget Policy Center, Loto S Ginting, Director of Sovereign Debt Instruments DJPPR and Donny Hutabarat Head of Bank Indonesia London for EMEA. At the end of the session, the Minister of Finance and Senior Deputy Governor of BI received input and information from investors on the development of emerging countries such as Argentina, Brazil and Turkey which are facing more extreme turmoil. The event was closed by Founder and CEO Michael Bloomberg, where the former mayor of New York is also providing his latest book, `Climate of Hope, which deals with climate change. "Since 2017, the Ministry of Finance has been actively supporting YIPA in the United Kingdom in the UK-Indonesia Economic Forum initiative to promote UK-Indonesia relations in business and investment through the community of future business leaders," said Steven, a consultant strategist at Accenture London.